When it comes to holiday foods, we always want to have a mix of familiar and exotic tastes around the table. These lamb meatballs are full of familiar tastes, but they’re a rare treat during the holidays around our house. Chances are aside from fresh ground lamb, you have everything you need to make them in your refrigerator or pantry. They take less than 30 minutes to whip up for guests! What’s my secret? 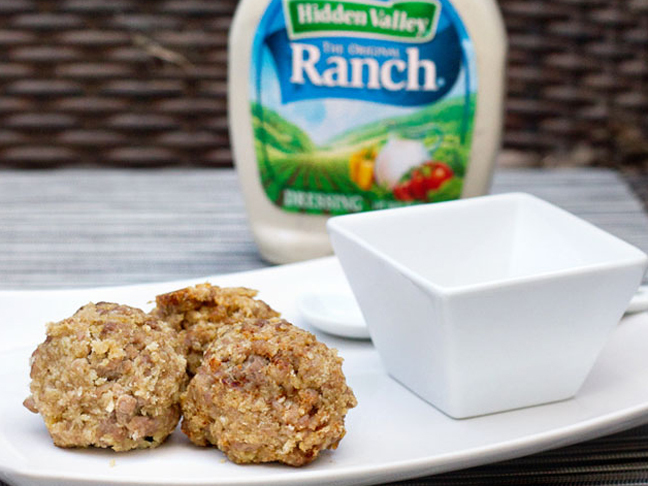 The Hidden Valley® Original Ranch® seasoning packet that is sure to make these meatballs palate-pleasing for the whole brood! 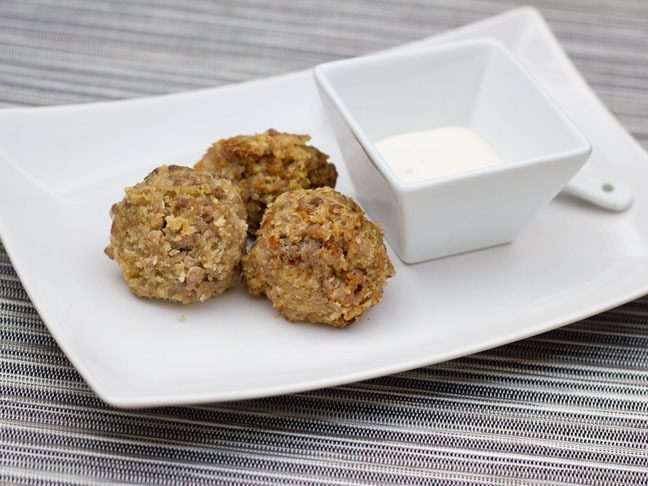 A finger-snacking savory treat to entice your Thanksgiving guests for the meal ahead! Step 1: Preheat oven to 450 degrees. Coat a 9x13 inch baking dish with olive oil. Step 2: Mix together the ground lamb, Hidden Valley® Original Ranch® Salad Dressing, bread crumbs, eggs, cayenne pepper, paprika, coriander, and salt. Step 3: Make golf ball sized (1.5 inches) meatballs from the mixture and place them in the baking dish. You want them to be snug and lined up touching each other. Step 4: Cook until a meat thermometer reads 165 degrees (approximately 15-20 minutes). 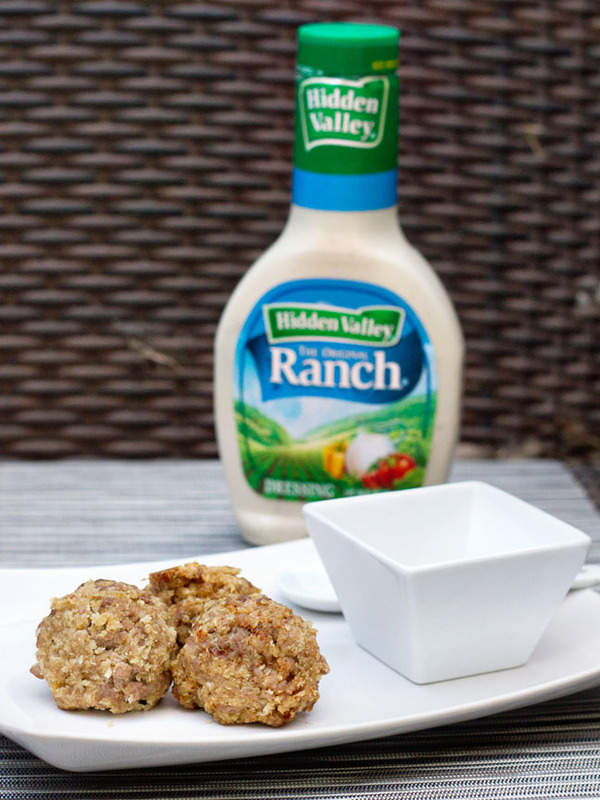 Step 5: Serve as an appetizer alongside an extra serving of Hidden Valley® Original Ranch® Salad Dressing.